Designed for high school students*, When I Was a Child is literature-based, in the same vein as our previous history curriculum. The reading is a challenging mix of American classics, autobiographies, and literature selections that tell the story of America from multiple perspectives. We also spend considerable time with historical documents as primary sources, allowing students to understand the context of these documents in the period in which they were written. One of the objectives of When I Was a Child is to help develop an understanding of how even the darkest moments in our nation’s history are a function of what information--and misinformation--was available at the time. If a student does nothing other than cover the reading list, he should be well equipped to talk about not only the major events of our nation’s history, but also to expound upon why those events might have occurred, the longer-term impact of those events, and how, in looking back, what alternatives might have existed. This year-long survey of early American history also offers a follow-up set of questions for every resource used, to prepare a student for what I call the “dialogue of life.” A primary goal of this curriculum is to help students with a critical skill—how to dialogue, i.e., communicate convincingly to have others listen and take interest in your words. 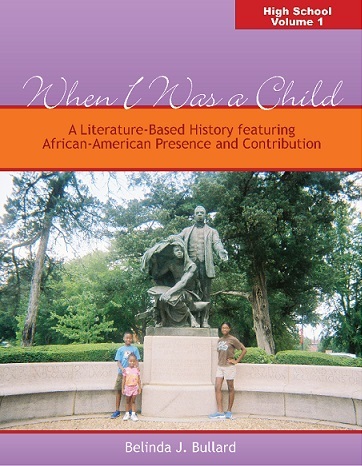 With that in mind, When I Was a Child also features writing assignments geared to prepare students for higher academic (college-level) success. Whether your student is college-bound or employer/ employment-bound, this is an excellent opportunity to build a solid foundation for writing that informs, makes requests, and/or moves people to action.